How likely is a UK-US trade deal? 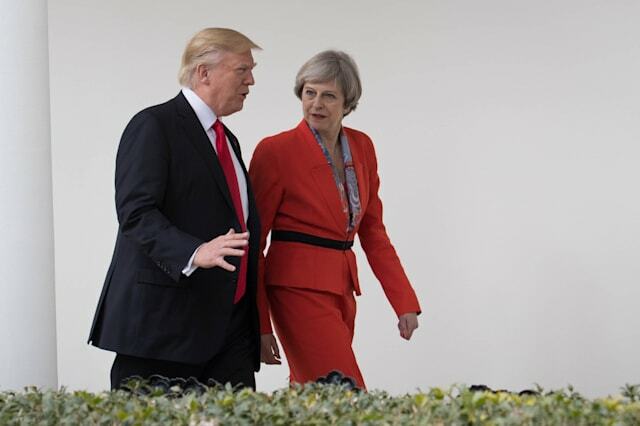 President Donald Trump has pledged to maintain a trade deal with Britain after Brexit in March 2019. On what terms and is it in Britain's interests to sign up? Simon Wilson reports. Is a UK-US trade deal likely? Britain obviously wants one, as part of its need to set up bilateral trade deals ahead of its departure from the European Union (due by March 2019). The US is Britain's second-biggest trading partner, after Germany. President Trump also seems keen, perhaps – says Peter Goodman in The New York Times – because he could post it on Twitter as proof that he is not a "nativist protectionist leading the US on a retreat from global concerns". In mid-January, before Trump took office, he told Michael Gove in an interview with The Times that "we're going to work very hard to get it done quickly and done properly". Of course, the UK cannot sign trade deals of its own before it leaves the EU. But at last week's meeting between Trump and Theresa May at the White House, the two sides agreed to make a start. Nothing concrete. But the two governments committed to establishing working groups to scope out the likely shape of a deal, with a view to achieving as much as possible before Brexit, and signing a deal as soon as possible afterwards. Trump also pledged to ensure that the trade deals Britain has with the US via its EU membership would continue after Brexit. That's significant, because it would provide some helpful certainty to businesses in both the UK and the US during the post-Brexit transition, until a bilateral deal could be finalised. So Trump is good news for UK trade? It's possible that having an apparently Anglophile, Brexit cheerleader as US president will turn out to be a positive. Equally, the Trump presidency entails obvious risks for Britain – especially given the rapidly emerging sense in Europe (as articulated by European Council president Donald Tusk this week) of an unstable and potentially dangerous US leader who appears to be rooting for the unravelling of the EU. May has tried to make clear to the EU 27 that the UK wants no further EU disintegration and that our national interest is in a stable and prosperous Europe. But the sense that we are best friends with an "external threat" on a par with Putin's Russia and radical Islamism, according to Tusk, may well complicate negotiations over the UK's exit terms. Indeed. May says she wants the UK to be the champion of global free trade. But Trump, who pulled the US out of the Trans-Pacific Partnership (TPP) in his first week in office, and is keen to renegotiate the North American Free Trade Agreement (Nafta), appears to be the most protectionist US president since the 1930s. His chief trade adviser, economist Peter Navarro, also appears to be unashamedly mercantilist – keen to export more and import less. Given that the UK has a £40bn trade surplus with the US, any deal that seeks to reduce that is unlikely to be an unalloyed boon for UK manufacturers. Moreover, even if Trump really wanted to do a quick deal for Brexit Britain, he might face resistance from Republicans in Congress and US business: while scrapping existing trade deals does not require Congressional approval, agreeing new ones does. What might a deal cover? Tariffs on US-UK trade are already quite low, averaging just 3%. So a free-trade deal, while presumably aiming to bring those tariffs much closer to zero, would inevitably be focused on the much thornier issue of non-tariff barriers – ie, everything from bank regulations and car safety standards to animal welfare and environmental protection. Agriculture is certain to be central to negotiations: the UK has much stricter rules on food standards, GM crops and hormones in farm animals, for example, restricting the ability of American farmers to send us their low-cost, hormone-pumped beef. US negotiators would be keen to target the UK's world-leading insurance market, whereas on that front there's no upside for Britons: the US insurance market is regulated at the state level, not by the federal government. Pharmaceuticals is another key sticking point: US firms have long wanted easier access to the National Health Service (NHS). Liam Fox, the international trade secretary, this week dismissed claims of an American takeover of the NHS as an urban myth, but that's unlikely to quieten the fears of those who look at the dysfunctional, costly US healthcare system with dismay. Would a deal really achieve much? Several commentators (such as The Economist) argue that a UK-US deal wouldn't actually boost trade much. The biggest impediment to a meaningful deal, says Peter Goodman in The New York Times, is the similarity of the two economies and especially the importance of financial services to both sides. Opening finance to greater competition would require "that British bankers pledge fealty to American regulations. Either that, or the rules would have to be opened and renegotiated by both sides. That might happen in the same way that Mr Trump might perhaps renounce shiny ties and golf in favour of tie-dye and Zen meditation." In the late 1990s, the then-owner of The Daily Telegraph, Conrad Black, argued that Britain should leave the EU and join the North American Free Trade Agreement, says Therese Raphael on Bloomberg. "Such an expanding Nafta would have every commercial advantage over the EU. It is based on the Anglo-American free-market model of relatively restrained taxation and social spending," argued the Canadian media tycoon. Such a deal wouldn't be easy – barriers to trade with the US are already low for the UK, but "getting the whole of the North American market" might help May to "sell it at home". Meanwhile, notes Raphael, including the UK in the trade bloc would allow Trump to claim he had "reformed" Nafta as promised.